CLI-271 Ink delivers improved color, a wider color gamut, and better color fastness over previous generation inks. 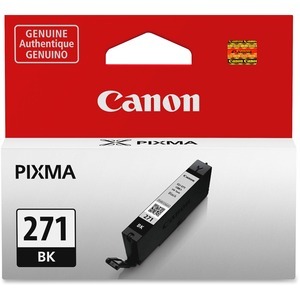 The cartridge is designed for use with Canon Pixma MG5720, MG5721, MG5722, MG6820 and MG7720. Genuine Canon ink tanks allow you to access free exciting premium content via Creative Park Premium. The smart LED lets you know when a tank is installed properly and which ink tanks need to be replaced.